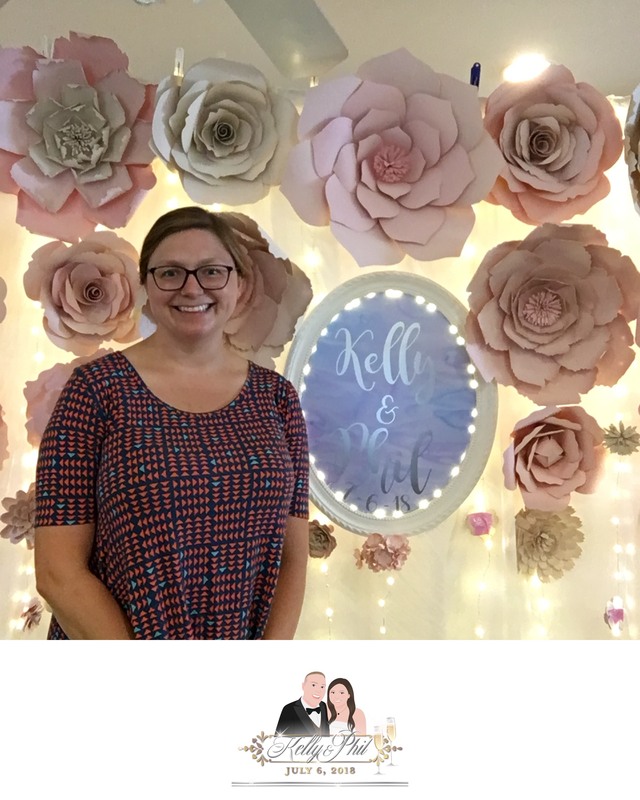 This is a homemade paper flower photo booth backdrop. 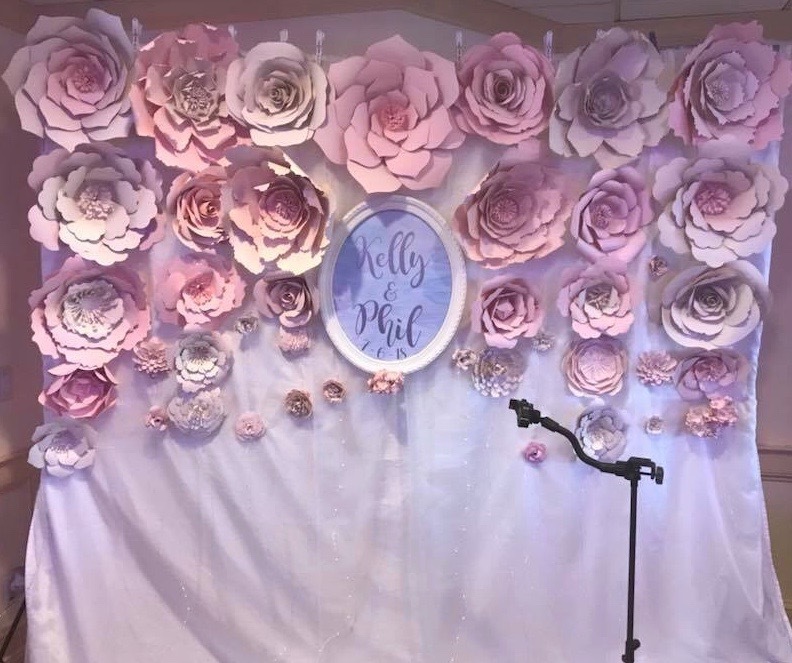 The flowers are made of heavy card stock and are attached to LED light strings. Included are the numbered light strings, frame, fabric, and frame (can be personalized for another couple). 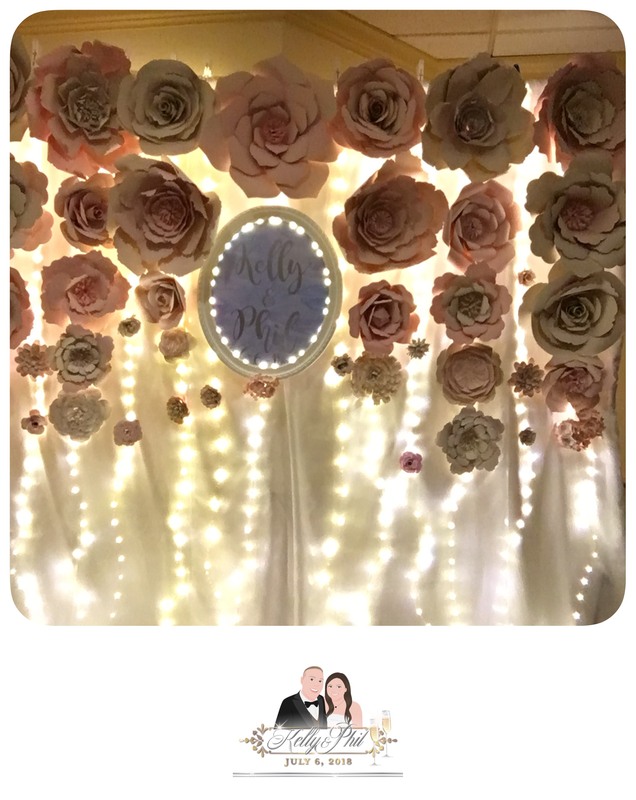 We used an iPad on a stand and a photo booth app.